We dance, draw, paint, write, take stunning photos and sing our hearts out. We love to perform under a spotlight. The Conservatory is far more than an extracurricular activity. With rigor and excitement our UC-accredited courses unfold on stage, in studios and in hands-on workshops as Mayfield trains the next generation of artists and artistic thinkers. 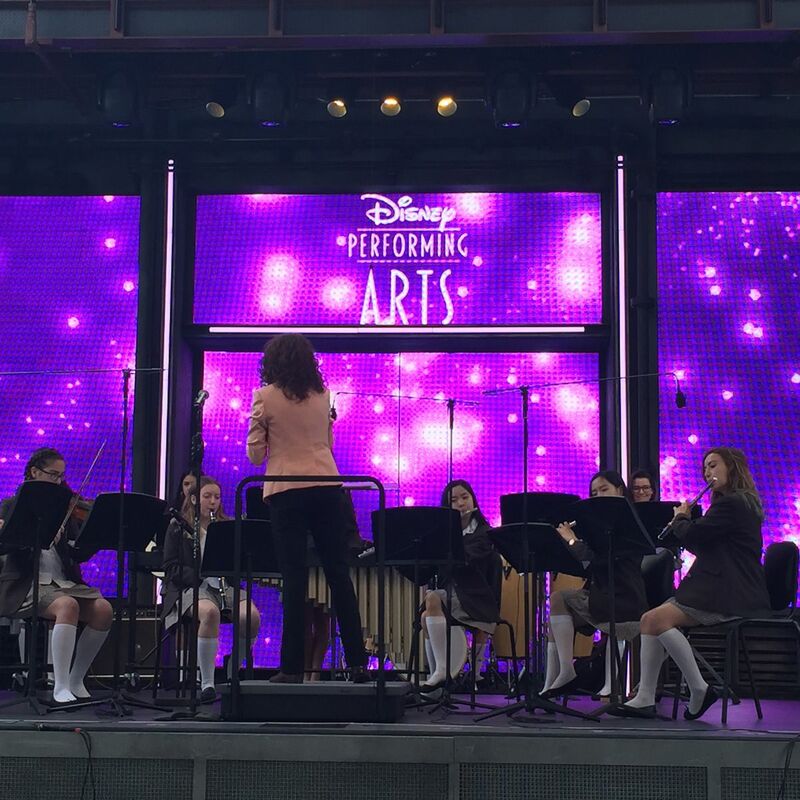 Mayfield’s signature Conservatory for the Arts program strikes an engaging balance for both aspiring and dedicated artists. For more than 25 years our program has produced artistic thinkers who know how to integrate creativity, voice and expression into their lives. 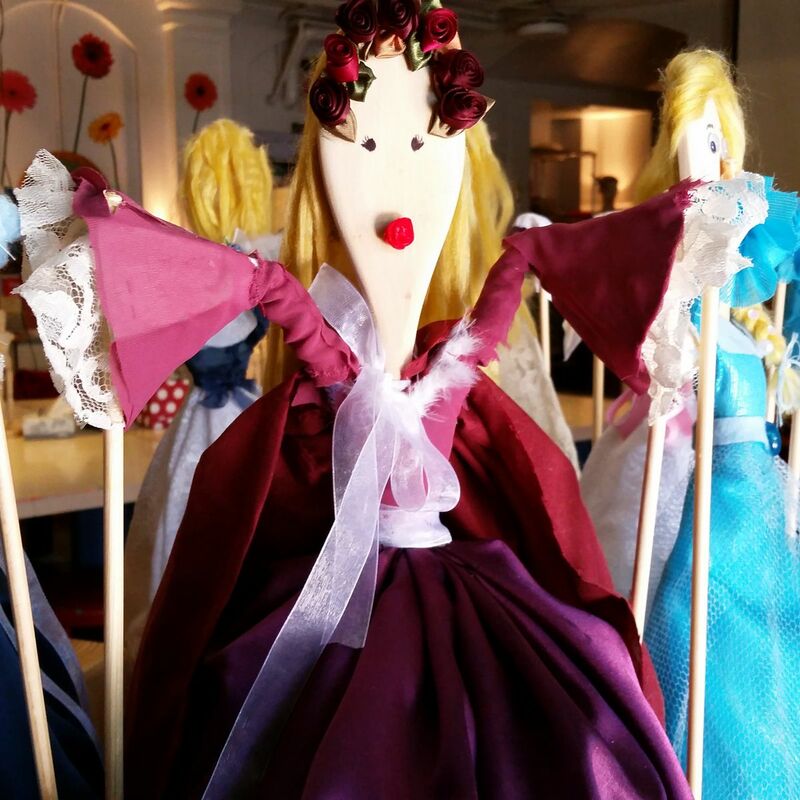 Our artists develop confidence and resilience as they form bonds with a group of girls who become their closest friends. 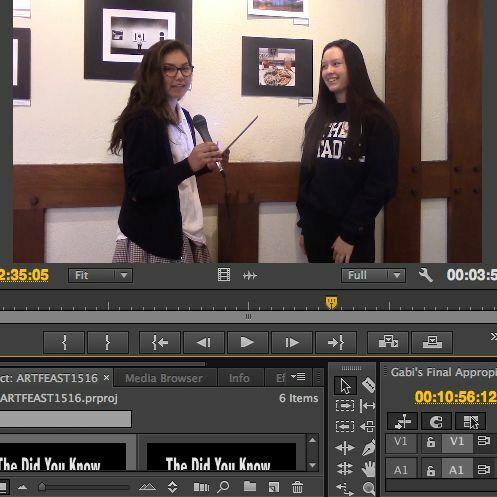 Mayfield teachers are working artists who enthusiastically share their real-world knowledge at every meeting. As Holy Child educators they teach students to use their artistic gifts to engage with and interpret the world around them. Art is a universal language, and also a discipline which calls for close attention, leading to wonderment and contemplation. 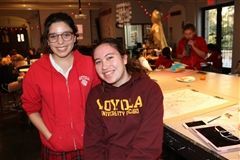 Students explore creative mediums with curiosity in the art studio where they are encouraged to develop their individual expression. 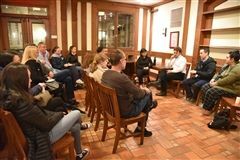 The techniques and concepts of drama, including acting, directing and dramaturgy, come alive in a full season of plays. This hands-on class teaches the artistry of lighting, sound, stage management and set building and design. 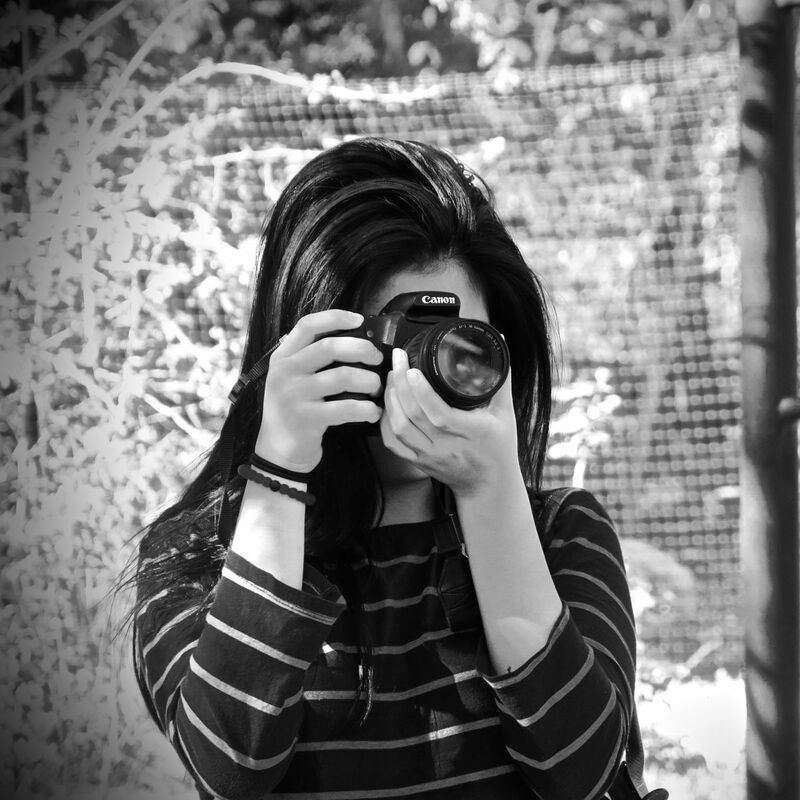 Young photographers develop a personal vision by learning the techniques of black and white processes, digital camera operation and media arts. 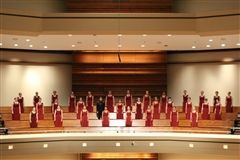 The nationally acclaimed Mayfield Women’s Ensemble is a credit to students’ study of vocal style and technique. 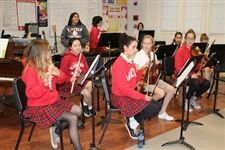 From classical to popular, jazz to world music, Mayfield musicians learn and perform a variety of styles and play from the heart. This eye-opening conservatory introduces students to all aspects of the art of making film, video and digital media. Dancers take to the stage in popular performances, expressing their skills through creative choreography and technique. Authors delve into fiction and poetry writing in a literary and artistic environment, collaborating with performing artists on new works. 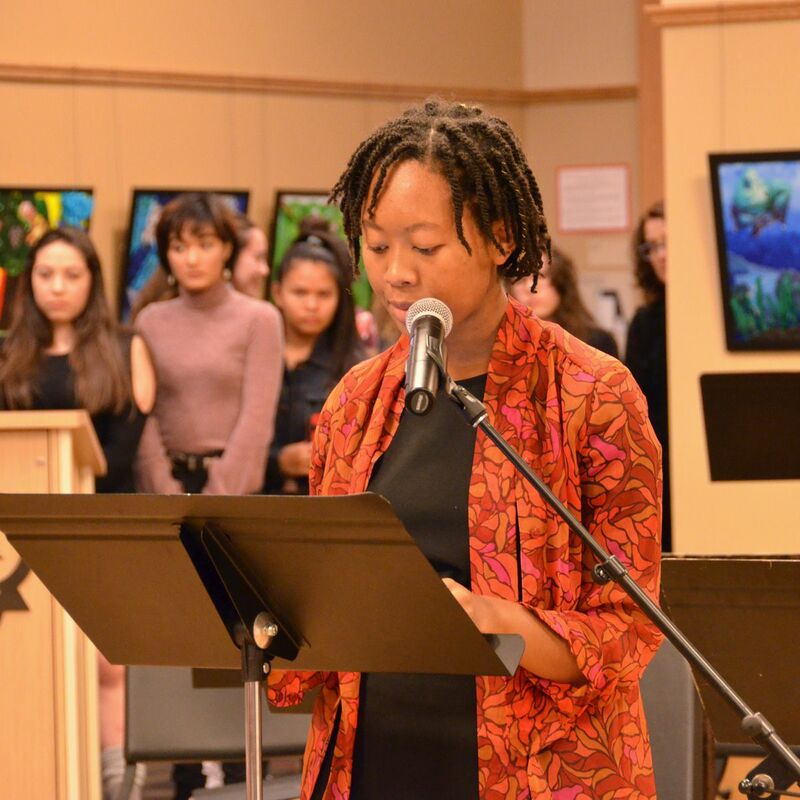 Two Mayfield poets wrote from the heart, personal messages they hold dear. A student photographer captured a poignant moment with her grandmother, a shot she treasures. 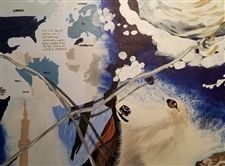 A painter took a risk with a multimedia project and decided to put her work and vulnerability on display. Navigating the college application process is stressful enough. For prospective visual art students it’s even trickier—they face a myriad of portfolio requirements and another layer of deadlines. The duo begins in the center of a darkened stage. A harsh overhead light illuminates their side-by-side forms. The freshman dancer, Drew Valentino, faces front. Only the back of her older sister, Avery, is visible before the two pull the width of the stage away from each other in perfect synchronization. 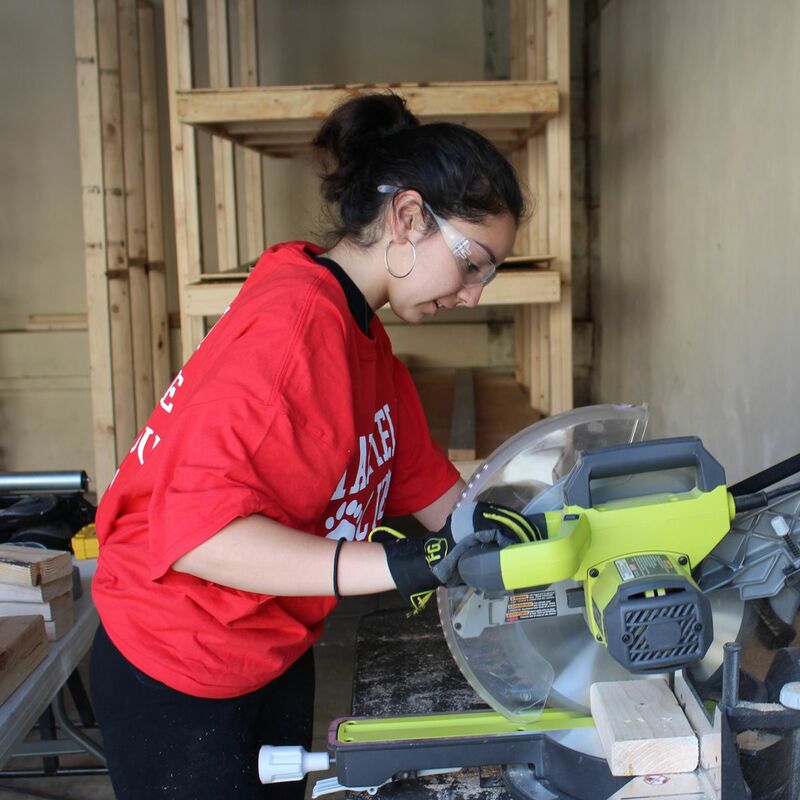 Art students get real-world design experience and we benefit! When Mayfield Patrons for the Arts decided to sponsor a custom Christmas ornament, Visual Arts teacher Amy Green saw a great opportunity to engage her students in a real-world experience in artistic design. 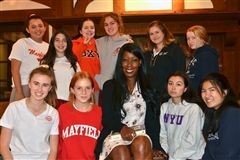 Our Creative Writing Conservatory students gathered in the cozy Sussex Room recently to experience an enthralling workshop led by New York Times best-selling writer Natashia Deón. ﻿These are the most challenging roles our Theatre Conservatory students said they have ever played. Helen Keller, blind and mute. No lines. All expression. Annie, Helen’s passionate and determined teacher. Energized spirit. Heart and mind on fire. 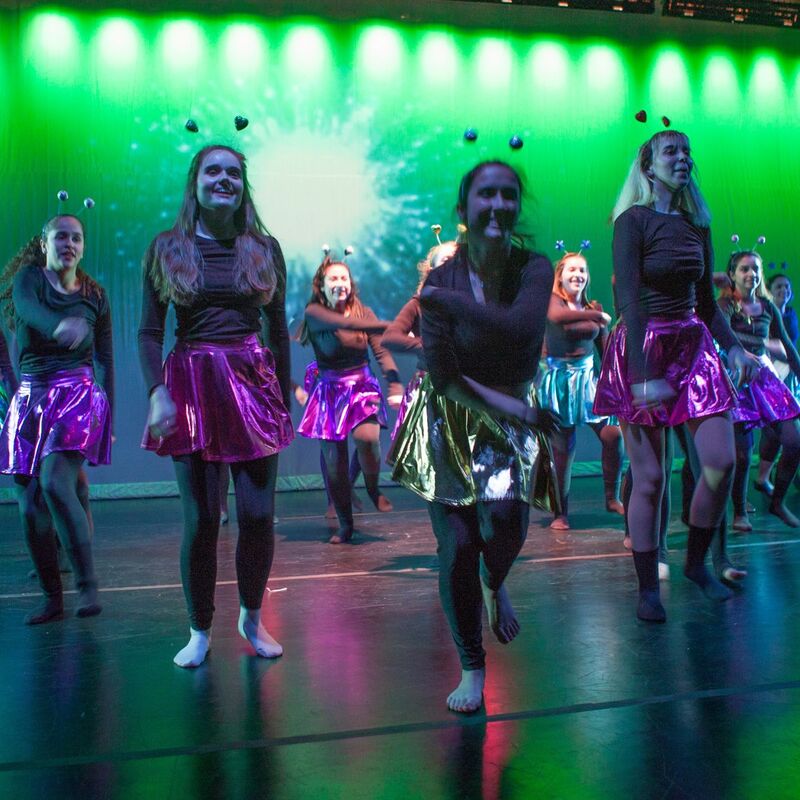 The work of our Mayfield artists transformed the Student Commons into an art gallery and performing arts space, brought beautiful music to Strub Hall and turned the Pike stage into a dance and theatre performing arts house. 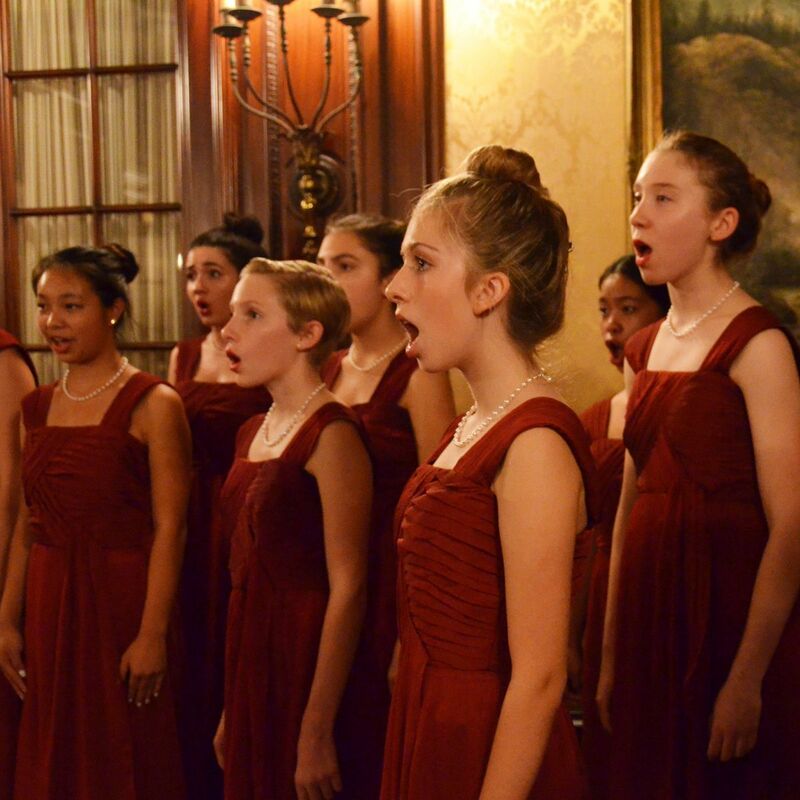 Mayfield Women’s Ensemble wins big at competition. ‘We sing better because we are close friends,’ senior says. 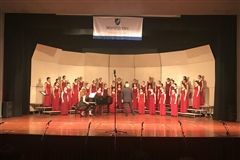 The glorious voices of the Mayfield Women’s Ensemble won top honors, including the Best Overall Choir award, at the prestigious WorldStrides San Francisco Heritage festival over the weekend, elevating our singers to the highest echelons of high school choirs in the nation. Mayfield at Mayfield—East Sussex, England that is! 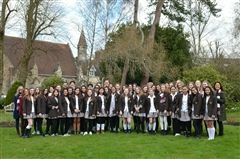 They walked in the footsteps of Holy Child foundress Cornelia Connelly and climbed 528 stairs to reach the top of St. Paul’s Cathedral. They not only visited Shakespeare’s birthplace, Stratford-upon-Avon, but also learned how to act out two scenes from Romeo and Juliet at The Globe Theatre. They received a special blessing in Canterbury Cathedral, visited multiple museums and saw the hilarious West End musical, Matilda. 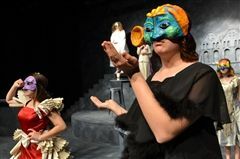 Two spring theatre productions within two weeks of each other brought a frenzy of artistry, drama and a lot of set changes to Pike Auditorium as Godspell and Everywoman featured two all-female casts of musicians, singers and actors on stage. You just can’t take your eyes off those mesmerizing masks! 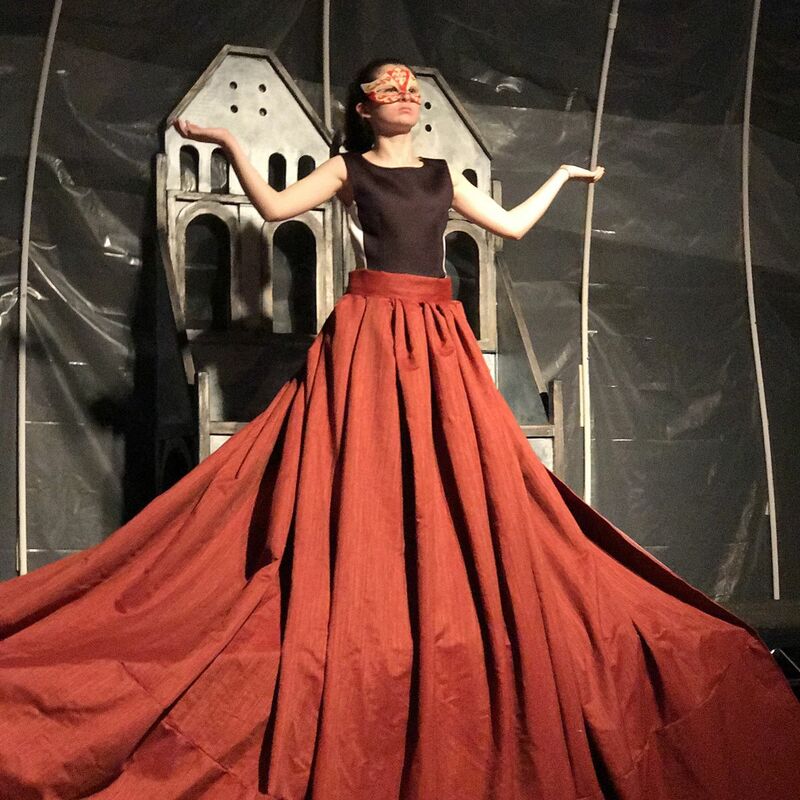 It’s not enough that our Theatre Conservatory students to rewrote the medieval morality play Everyman into their own powerhouse voice of Everywoman. They delved deep into artistic interpretation to design and make Commedia-style masks to represent their characters. Laura Noriega ’18, a three-year member of the Visual Arts Conservatory, had always viewed sketching, drawing and her newfound love for watercoloring as a somewhat solitary pursuit with pencils, paint, brushes and canvas. 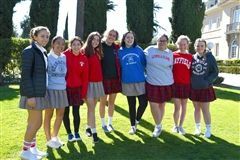 The works of five outstanding Mayfield visual and photography artists will take a place of honor at the Cathedral of Our Lady of the Angels for the annual Robert Graham Memorial Exhibit that celebrates select work of Catholic high school students. Breathe deep. Stand straight. Lift your head. Loosen your shoulders. Support your core. Wiggle your fingers. Project outward! 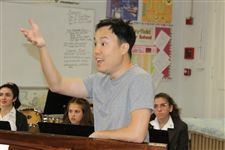 When world-renowned countertenor Jeffrey Kim conducted a master class for Mayfield’s Vocal Conservatory, it looked a lot like a PE class—but with exercises that included hitting high-reaching notes and singing soaring scales. But how are our fine Mayfield Instrumental Conservatory musicians holding up this week? In an unforgettable field trip, AP Photography students toured the rustic Silver Lake studio of an award-winning, internationally recognized artist—Mayfield’s own Conservatory for the Arts teacher, Paul Tzanetopoulos.